Keller Williams Heritage and New Braunfels, a Keller Williams market center located in San Antonio and New Braunfels, honored its 2014 year-end award recipients at a banquet held at The University of Incarnate Word’s Rosenburg Sky Room on Friday, February 20, 2015. Over 450 guests attended the event, which recognized agents, faculty, and staff members in multiple award categories. This annual event honors the best of the best and shines a spotlight on their extraordinary achievements. Top award winners showcase an unparalleled dedication to their craft, repeatedly delivering exceptional experiences. 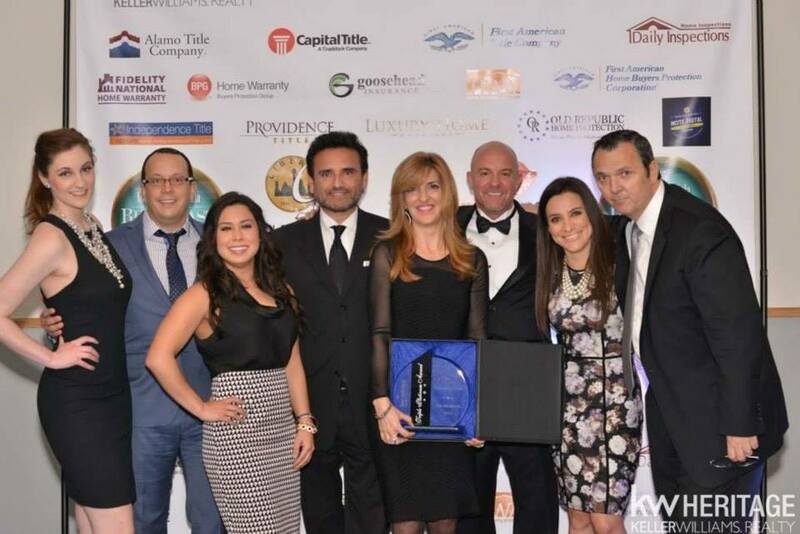 The Solis International Group, Double Platinum Agent Team in Sales Volume, Ruben and Mary Solis: This top-producing team of agents affiliated with Keller Williams Heritage closed an exceptionally large number of properties in 2014, resulting in $50.2 million in volume. The Solis International Group has ranked as the No. 1 agent team in the brokerage for multiple years in a row. This year was the first year that a double platinum award has ever been given at the Heritage Market Center. Pictured: The Solis Internation Group poses with their plaque alongside VP and broker of record, Craig Owen. Hunter Croan, No. 1 Agent in Sales Volume: An eight-year veteran of the New Braunfels market center, Hunter totaled $16.5 million in volume. Hunter specializes in lake front property in South/ Central Texas. His service areas include Lake McQueeney, Lake Dunlap, Lake Placid, Meadow Lake, Canyon Lake and Lake Seguin, as well as the Guadalupe and Comal Rivers in New Braunfels. Eagle Award, Holly Borham Ramos: Holly serves as the Creative Marketing and Media Associate for Keller Williams Heritage and is an active REALTOR®. Additionally, she is the VP and marketing director for the brokerage’s 501(c)(3) charity, Hearts and Hands. 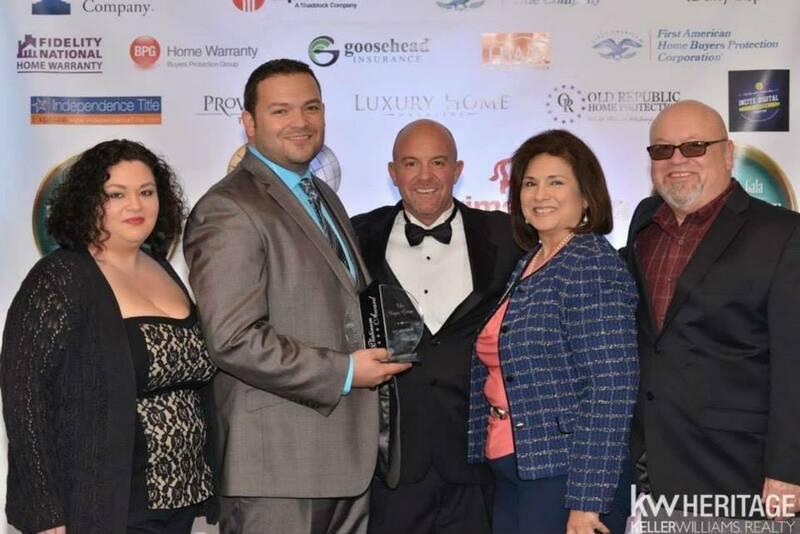 The Eagle award is the most prestigious and highest honored award given within the Keller Williams Organization. This award is given to an agent who possesses the highest altruistic qualities and who has shown leadership through service, courage through adversity, and integrity in all things. Pictured: Holly accepts the Eagle Award from Craig Owen. 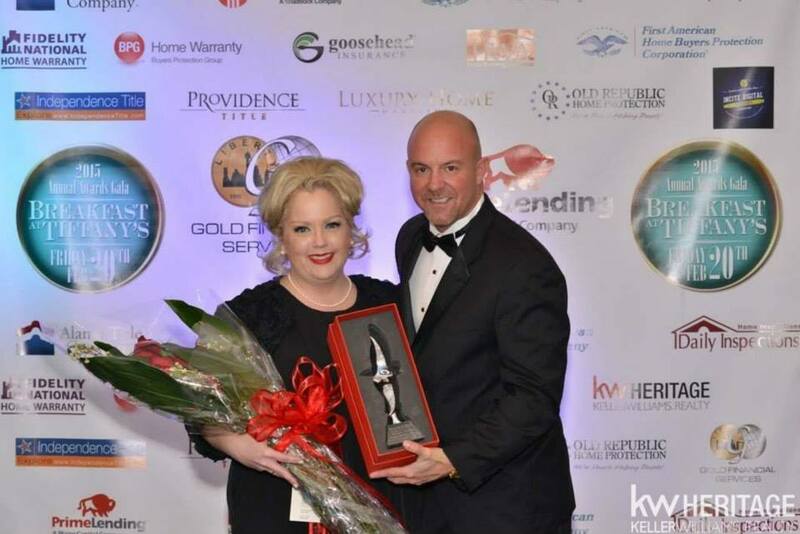 Lifetime Achievement Award, Shanna Reyes: A top producing REALTOR® with Heritage, Shanna has previously been awarded as a Platinum Top 50 recipient multiple times and has been recognized as a 5 Star REALTOR® by Texas Monthly. In addition to being a top producer, she served on the board of directors for the 501(c)(3) charity, Hearts and Hands, raising over 30 thousand dollars for multiple charities. She was highly involved in both the brokerage and the San Antonio community. The Lifetime Achievement Award is an individual award given in recognition of an agent’s selfless contributions to the Heritage Office, local real estate industry and the greater San Antonio community. Pictured: Shanna's family accepts the Lifetime Achievement Award in her honor. Spirit Award Recipients: Kathy Blanchard, Ron Smith, Trent Boarnet, Donna Renken, Brenda McClain, Josh Boggs, Florencio Villalpando, and Roslyn Casey. Pictured: From L to R, Josh Boggs, Trent Boarnet, Roslyn Casey, Craig Owen, and Florencio Villapando pose with their Spirit Awards. The KW Spirit Award honors agents who give back to the market center and the community with their time and energy. These individuals go above and beyond, truly believing and living the KW Belief System. They bolster the culture and community in the market center the work out of and remind us that Keller Williams associates truly are a family. Rookie of the Year, Dean Aitken: Rounding out his first full year with the Heritage market center, Dean closed a total of $5.9 million in volume, an impressive number for a brand new REALTOR®. Rookie of The Year Team, Kubenka Real Estate Solutions, Jennifer and Darrell Kubenka: Finishing their first full year as a team, Jennifer and Darrell, of the New Braunfels market center closed a total of $5.9 million in sales volume. Horizon Award, Raul Resendiz: Earning this award given to second year agents, Raul, of the Heritage market center, closed an impressive 19 units in 2014, resulting in $7.5 million in sales volume.